Description Play as a man who has hanged himself and was sent to Hell by Death himself to run a gauntlet in order to regain his life along with the riches he so desired. 40 difficult platforming levels in all! 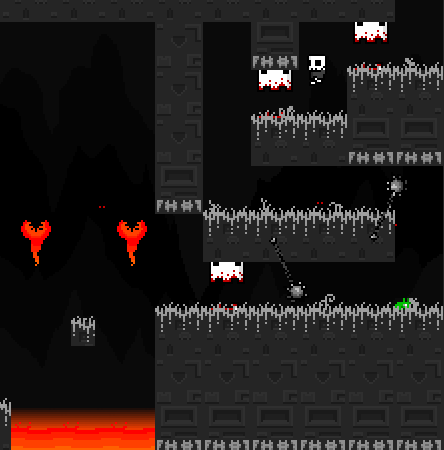 Arrows to move, Down to open chests, Space to skip death animation, R to return to the level select screen, Space/Enter to navigate screens, and C to clear the level select screen.